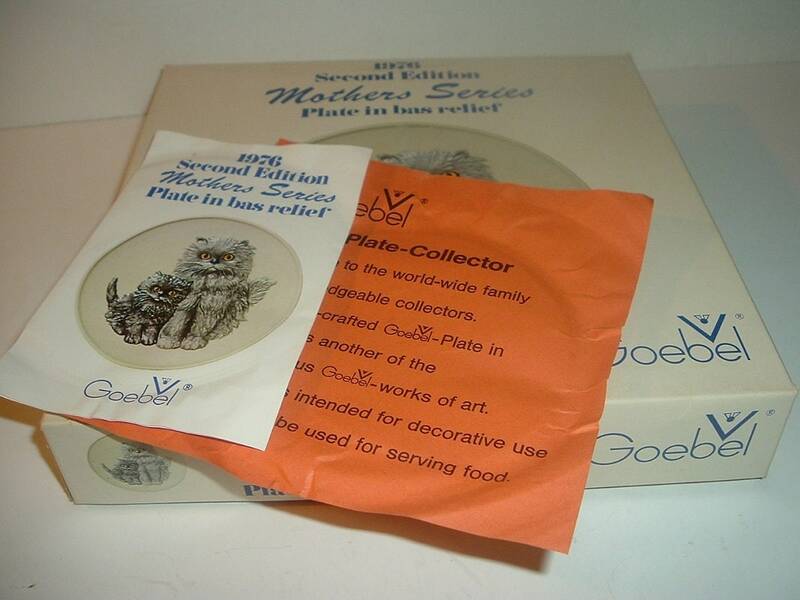 This 1976 Goebel Mothers Series cats plate measures approx. 7 5/8" across. 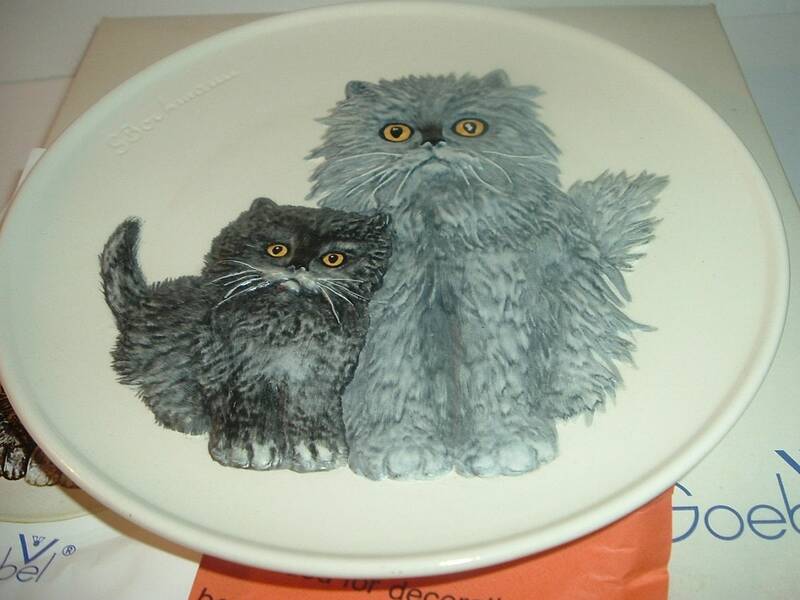 There are no chips, no cracks, and no wear or scratching. 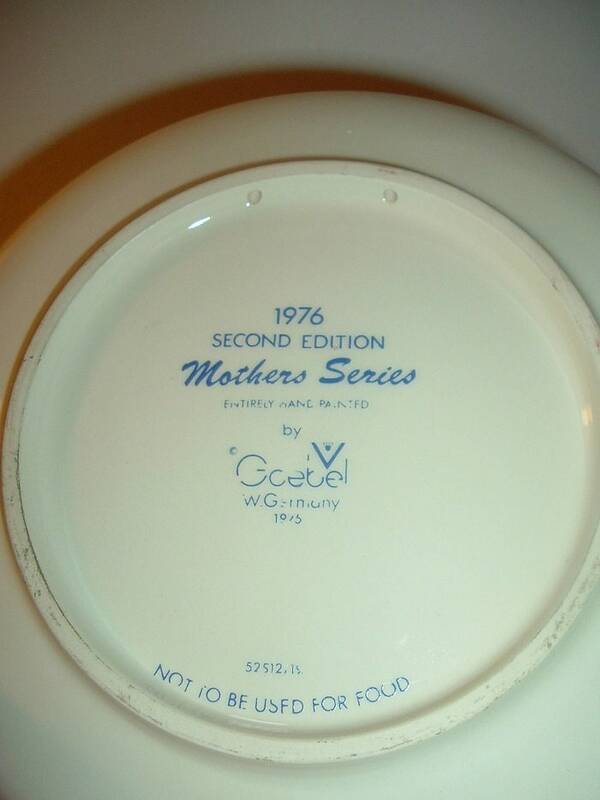 The Goebel TMK5 mark is on the backside. 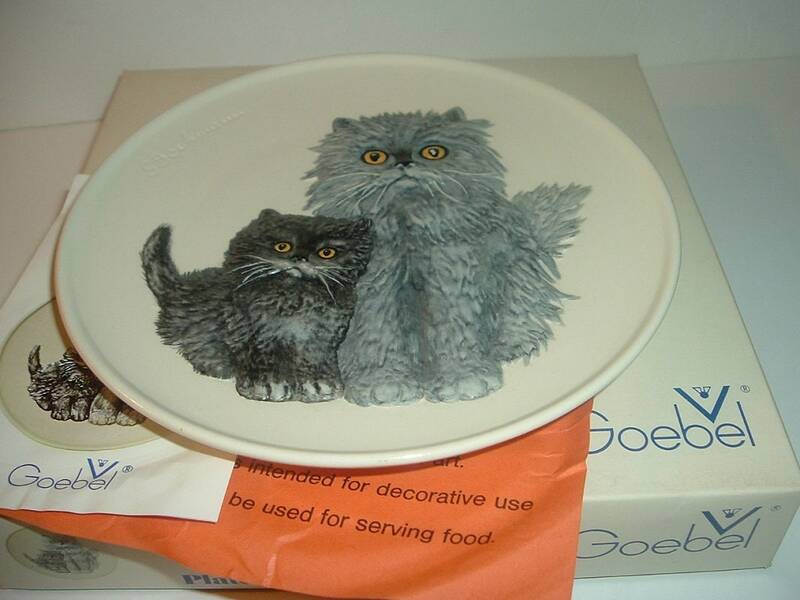 I have the original box, and a couple of pieces of paper with it -- nothing that looks like an official COA. Box is still in nice shape with some light shelf wear and a couple pieces of tape. Cute! I gladly combine shipping.